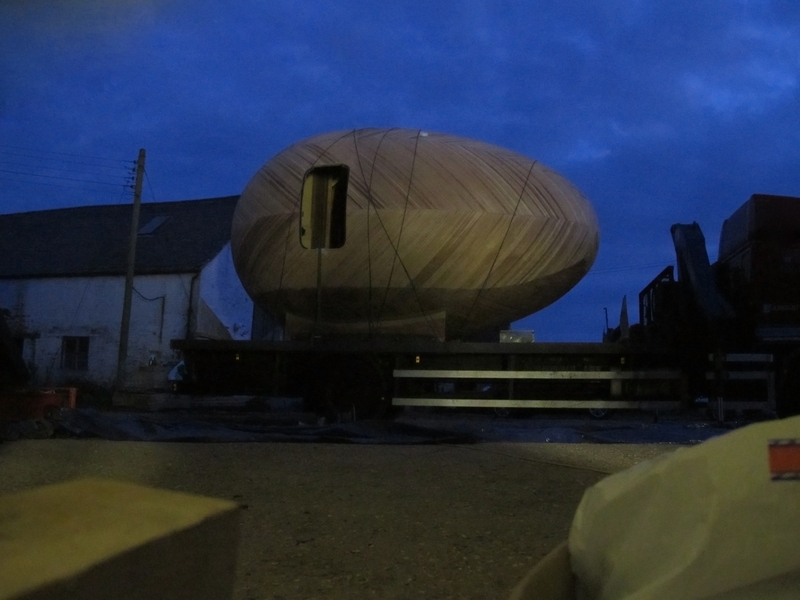 The Egg by moonlight on Tuesday May 21st, made ready for transport to Lymington Yacht Haven where it is due to be launched on Thursday. 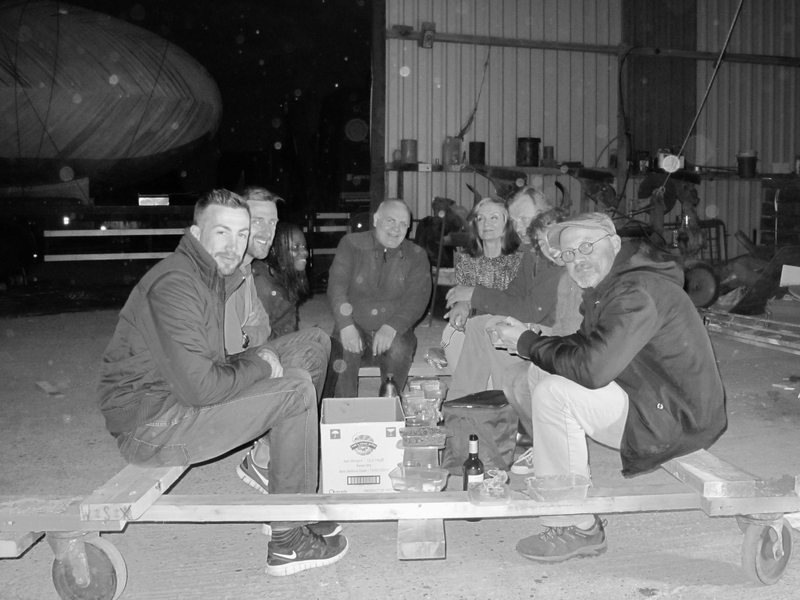 Rob, Mark, Natalie, Me, Trisha, Paul, Wendy and Phil enjoy a last supper in the barn at Battramsley after loading the egg onto its transporter. 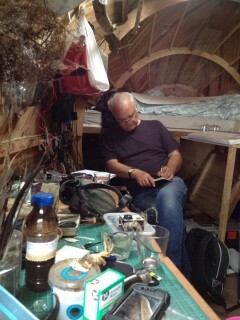 Scores of midges join our party to remind us about the environmental intent of our work.